Spot on. I would add mint green, ice green metallic, fountain blue and white gold metallic. My favorite of those colors is the Fashion Gray, but I don't know if the color is special enough to worth the extra money? How "true" would you say this document is Eduardo? Ordered PTS expecting that it would add a delay beyond November so the car doesn't sit in the garage all winter. Turns out it only added a month - Now 12/5 delivery according to PCNA.. Pastel Orange is not a metallic color...sorry. Eduardo - what colour(name) is Z17? 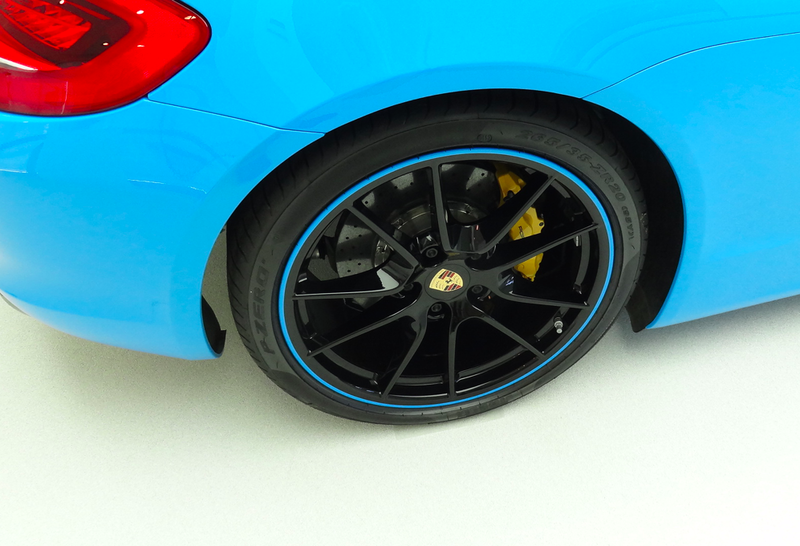 Can Porsche do wheels in deviated color? Like doing gloss black with brushed lip? I think they can do this as part of Exclusive. This was at Zuffenhausen. 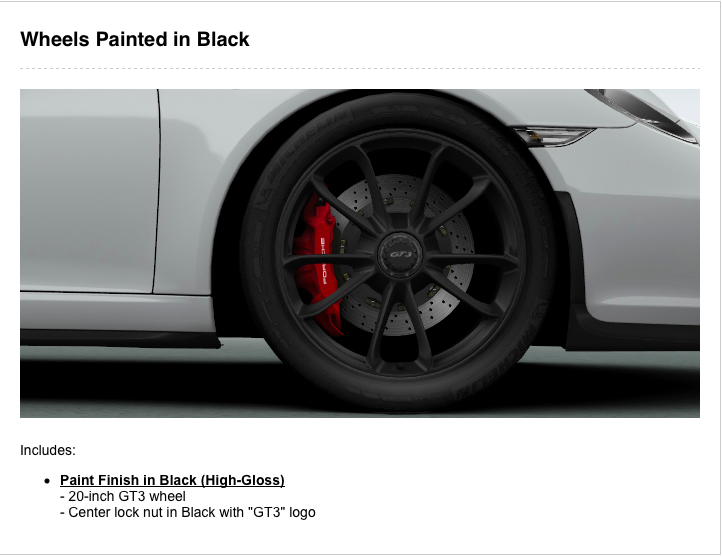 Find More Posts by Joe S.
<3mph, What colour is this ?? 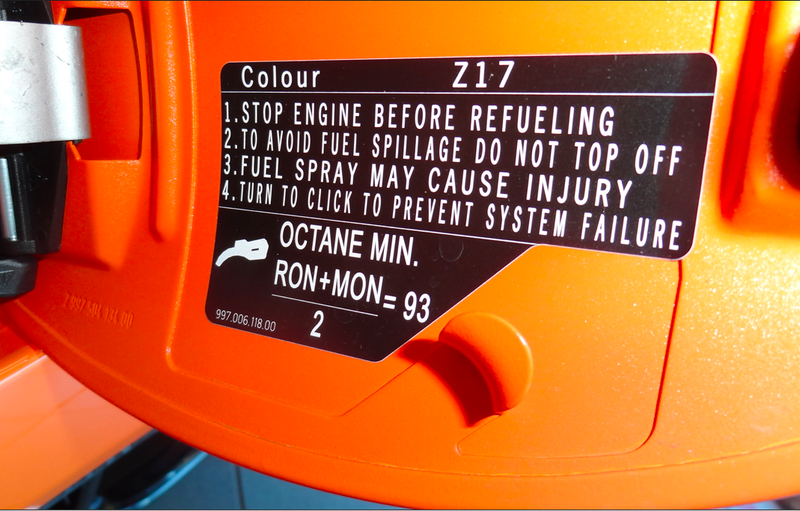 As you can see from the title on my post, Z17 is the 'colour code' (the Germans used the British spelling) for 'Pastel Orange'. 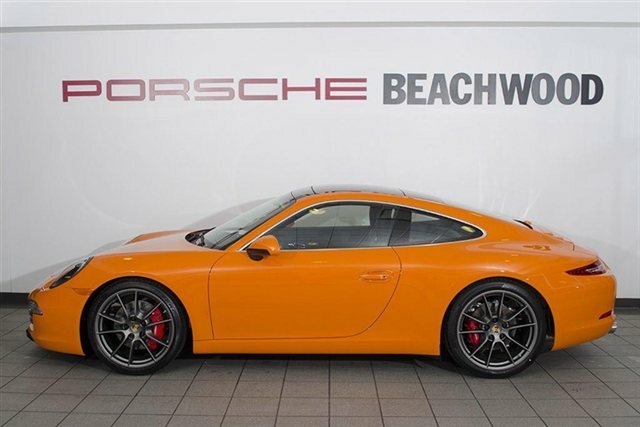 This was the orange color that PAG introduced as an alternative to 'RS Orange' from the MY2007/08 .1 997 gt3 RS when that color no longer passed muster as a PTS on any model. 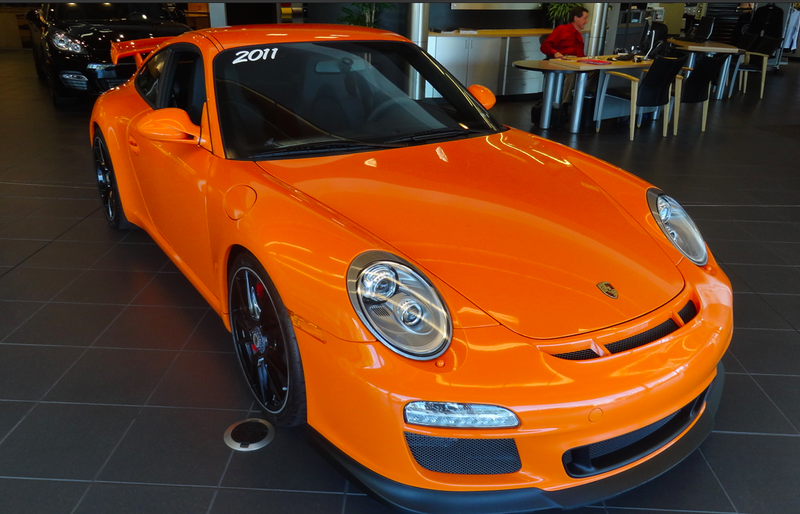 I first saw this color starting in MY2011 and the .2 997 gt3 above is one of the few 'Pastel Orange' 997's built. 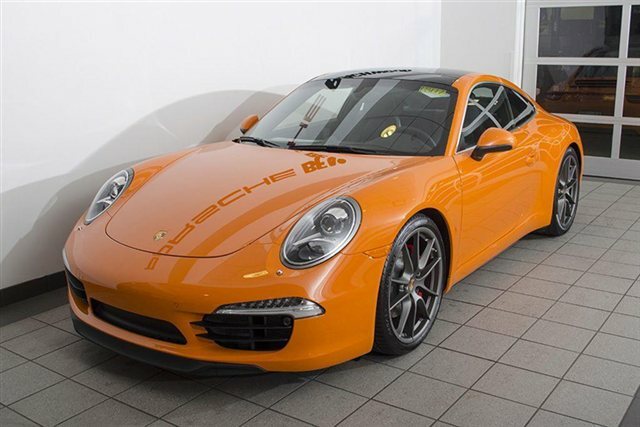 In the past year PAG has added 'Gulf Orange' to PTS, which is a historic early 911 color. They tested 'Tangerine' (another very popular historic 911 color) but it failed to be approved. 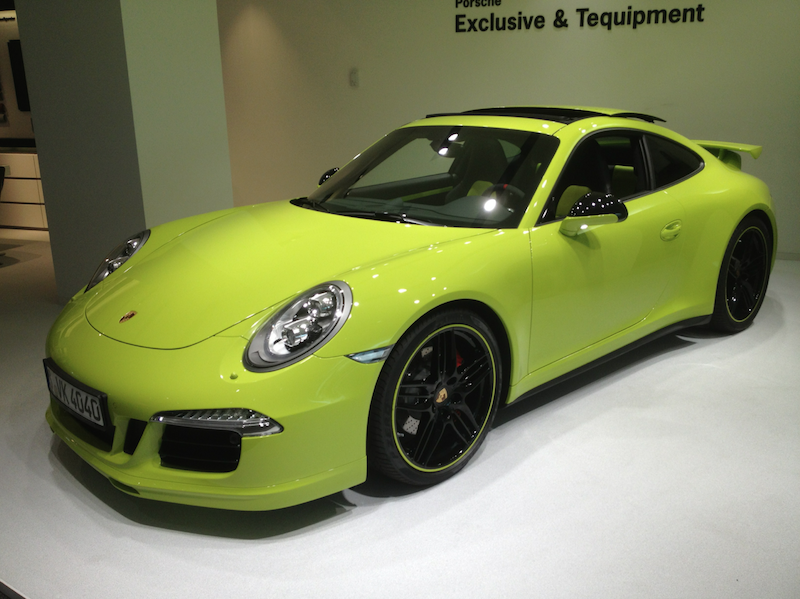 I also hope someone orders 'Continental Orange', another historic 911 color (mid-1970s) and gets it approved for PTS! 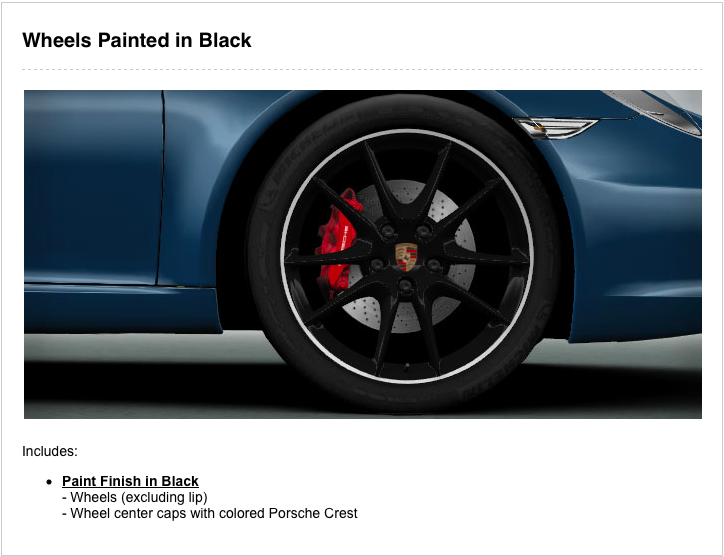 Can Porsche do wheels in deviated color? Like doing gloss black with brushed lip? 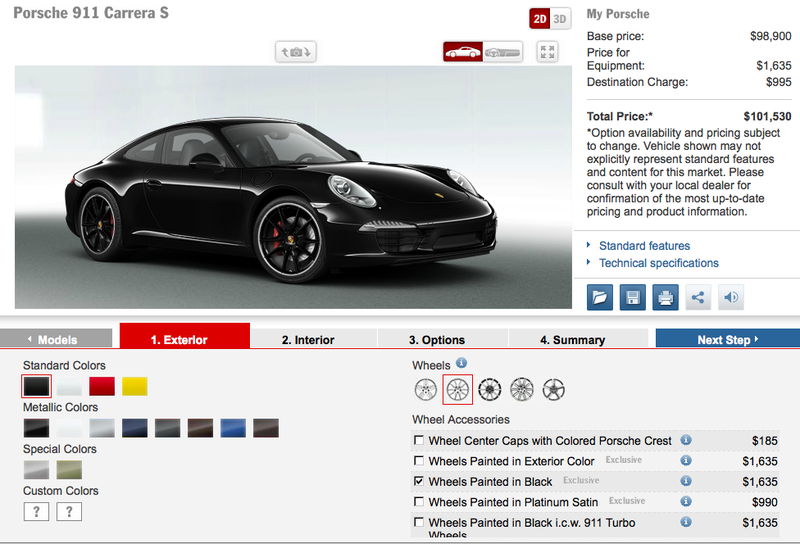 They CAN on the regular 991 models - both in gloss black & matching your exterior color. Both only come with visible brushed lip in metal. (see photos 1 & 2). This option shown in the photo is different...and a lot more exensive! 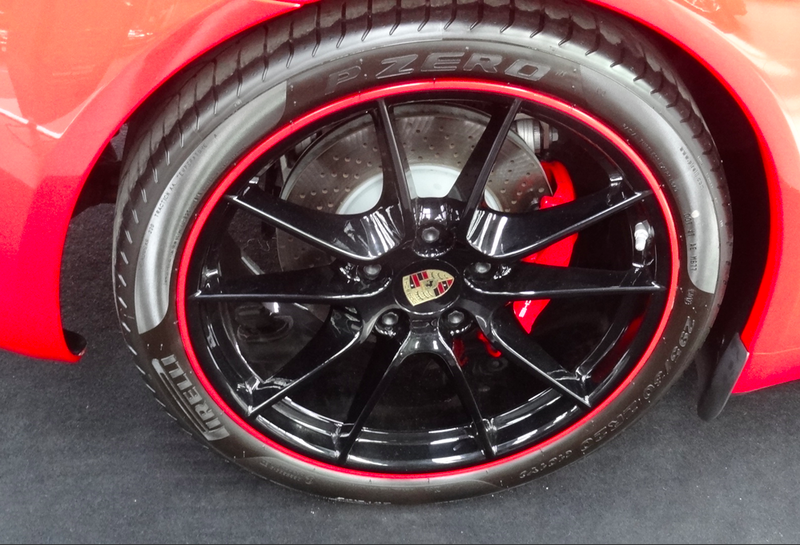 It is wheels painted in a deviating color (in the <3mph photo it's 'Black') and the rim done in a color matching the exterior paint! But the center can also be done in other deviating color (see last photo). The back of the rim is also painted, which is not the case in the standard XDA option that only cost $1635. 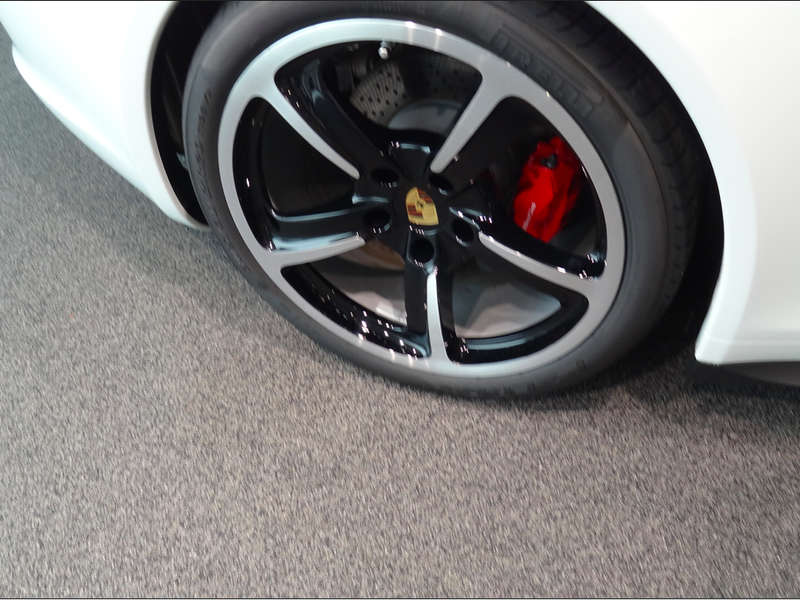 In the latter, only the front part of wheel is painted 'Black' or exterior color- the interior portion of the wheel is left in a 'primer-looking' grey which makes it a pain to keep 'clean'! (see photo 5). 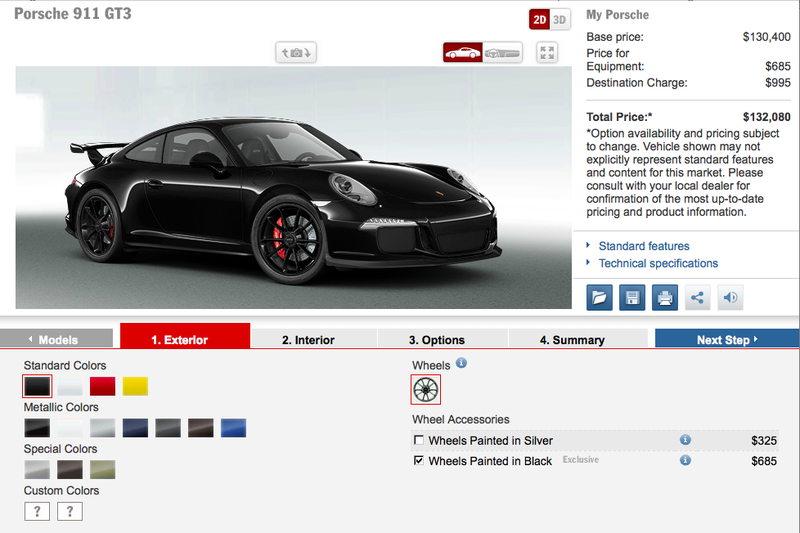 This option shown in photo by <3mph (see 6) by is not included in the US configurator - but it's available. But you might not appreciate its high cost (see photos 5, 6, 7). Compare them to photo 5. Do you see the difference in the treatment of the interior/back of the wheel? I'll let <3mph confirm, but my guess is 'Lichtgrün'. 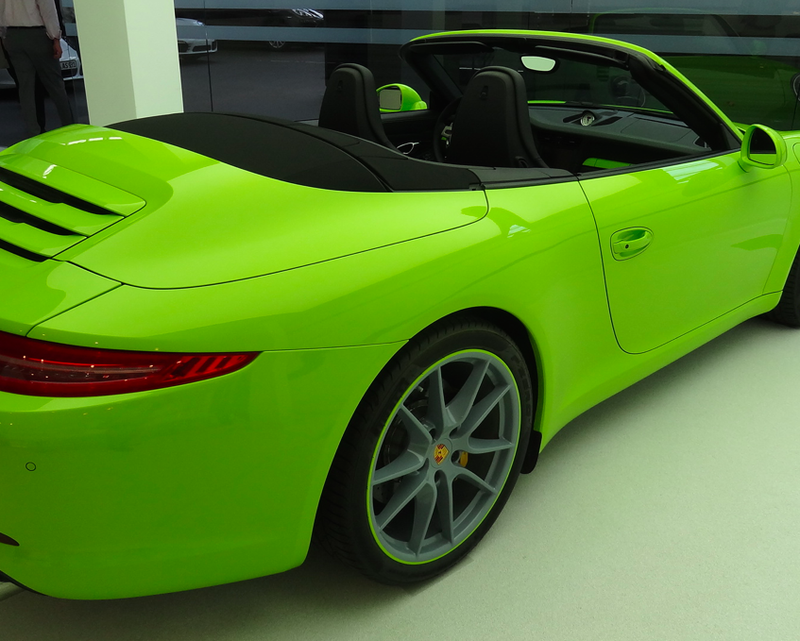 It's a historic 911 color which was called here 'Birch Green'. It's today badly translated into English as 'light green'. Same color as my last photo, although my camera gave it a brighter hue color. Remember always - photos lie. You need to see color in person before choosing it. I do love 'Lichtgrün'. And I am also fascinated by the fact that 'Acid Green' is probably going to be tested and (hopefully) approved as a PTS color. Unfortunately it was tested (I was involved in helping a Florida Rennlister try to get this approved). But it was rejected since it apparently failed the fade/coverage test.